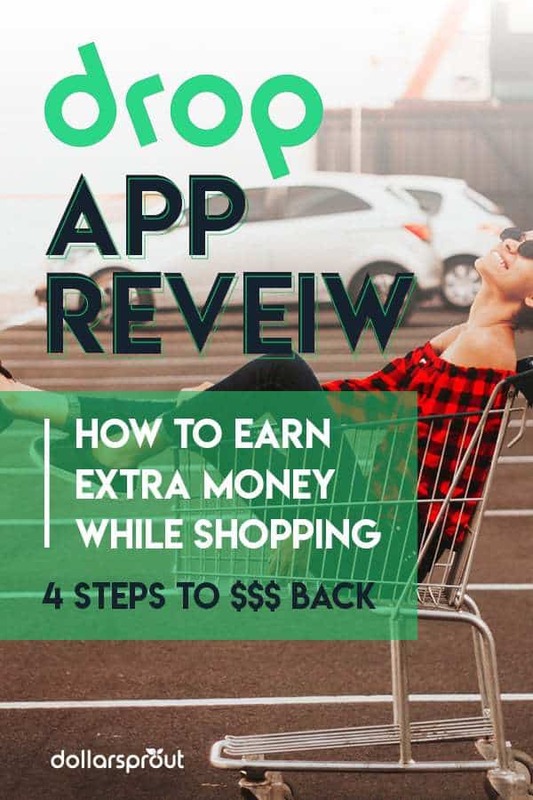 In this Drop app review, we’re going to show you how Drop works, how you can use it to earn extra cash back, and help you decide whether you should sign up. Can I still earn credit card rewards while using Drop? How does Drop make money? How does Drop use personal information? Is the Drop app safe? Best for: People who enjoy shopping, or who simply want to earn some cash back when they do go shopping. People who use credit and debit cards to pay for most of their purchases will get the most mileage out of the app. Drop is a service that gives shoppers cash back when they make purchases. With offices in Toronto, Ontario and New York City, Drop serves customers across North America. For consumers, Drop is simply a way to earn some extra money and to find out about deals at different stores. For example, you might see that the app is offering 5% back on purchases made at Bed, Bath, & Beyond. If you go to a Bed, Bath, & Beyond store and make a purchase, you’ll get Drop points that you can later redeem for gift cards. For companies, Drop is a way to advertise. Bed, Bath, & Beyond might offer Drop a commission on all of the customers that Drop can drive to its stores. Drop places a cash back offer in the app, convincing some of its users to visit the store and make purchases. In this way, Drop helps both consumers and companies. The first thing you have to do when you want to use Drop is to download the app. It’s available for iOS and Android, so most people will be able to download it to their phone. Once you’ve done that, you’ll have to make an account. Once you’ve created an account, you’ll have to link your debit and credit cards. You can do this by signing in to your accounts through the Drop app. If you’re worried about security, rest assured that Drop encrypts all of your personal information with state of the art technology. Finally, you’ll be asked to select five of your favorite companies from a long list. These companies are usually well-known chains like Starbucks, Target, or Uber. This is a very important part of the sign-up process. Once you select the five companies you will not be able to change them in the future. The five companies you pick will be the companies that give you ongoing rewards for every purchase you make. Usually, you’ll earn between .8% and 2% cash back for purchases from these companies. For companies that you do not select, you’ll have to wait for special earning offers to appear. The easiest way to earn rewards is to shop at one of the companies that you select as your favorite companies. You’ll see rewards arrive in your account within a few business days of each purchase. You should also keep an eye out for special offers. These will appear in the Drop app every once in a while and can be for nearly any company, even one you did not select as a favorite. When you see these offers pop up, you’ll be prompted to activate the offer or skip it. If you activate the offer, all you have to do is shop at that store to earn rewards. Sometimes you’ll earn a percentage of your purchase. Other times, you’ll earn a flat number of points for meeting a certain spending requirement. You can also sometimes earn bonuses, which give you points for completing specific tasks. For example, you might get some bonus points for linking a second card. You can also earn bonuses points for referring a friend. One thing to note is that you’re limited to earning a maximum of 5,000 Drop points per week. Once you’ve accumulated 5,000 Drop points, you can redeem your points for gift cards. You can redeem in 5,000 point increments to get gift cards in $5 increments. Gift cards from a number of popular merchants, such as Amazon and Starbucks are available. You should have no trouble finding a gift card that you can use. The way Drop works is pretty simple: set up an account, link your card, and shop as normal. Still, you might have a few more detailed questions about how the app works. This is one of the best parts of using Drop. You can continue to use whatever credit or debit card you usually use for your shopping. You’ll continue to earn the rewards you always have, the rewards from Drop will be a bonus on top of that. That means you can double-dip on rewards using Drop. Companies use Drop to market to consumers. 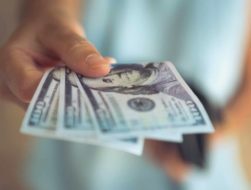 Drop takes payment from companies to offer rewards to consumers, paying some of the money to those consumers and pocketing the rest. Target offers Drop a 3% commission on any purchases made by customers that Drop refers to Target. Drop offers 1.5% rewards on Target purchases through its app. You see the offer and visit Target, making a $100 purchase. Drop will receive a payment of $3 from Target. You’ll get $1.50 from Drop and Drop will keep the other $1.50 for itself. Companies benefit from the increase in sales, Drop benefits by taking some commission for itself, and you benefit by earning rewards for your purchase. You earn rewards from Drop in the form of points that can be redeemed for cash back. These points do not expire and can be held until you have enough to redeem them for a gift card. Drop typically credits points earned from spending within a week. Sometimes it will be faster and other times it will take a day or two longer. Special offers have their own terms surrounding when the points will be paid out. Check the fine print when you activate the special offer for exact details. Signing up for Drop means linking your debit and credit cards, giving Drop access to view your spending history and habits. Drop only uses this information to personalize your Drop offers. It does not provide any personally identifiable information to other companies. If Drop does provide user information to a third party, it is anonymized and aggregated with other users’ information. Drop take security very seriously. The app never stores your bank login credentials, even after you link your accounts. The app uses the same level of encryption that banks and other financial services like Mint and Robinhood do. The app also uses the most up to date Transport Layer Security encryption to ensure that any data transmitted through the app cannot be intercepted. Technical jargon aside, the short answer is that Drop is as secure as it can be. If you trust your bank’s level of internet security, you can trust Drop’s level of security. Drop is a great service for nearly everyone. Almost everyone has to go shopping from time to time, even if it’s just to buy basic clothes and groceries. Drop has offers from companies that offer luxury goods and consumer staples, so nearly anyone will be able to earn some rewards by using the app. The one catch is that Drop only works if you use your credit or debit card to make purchases. 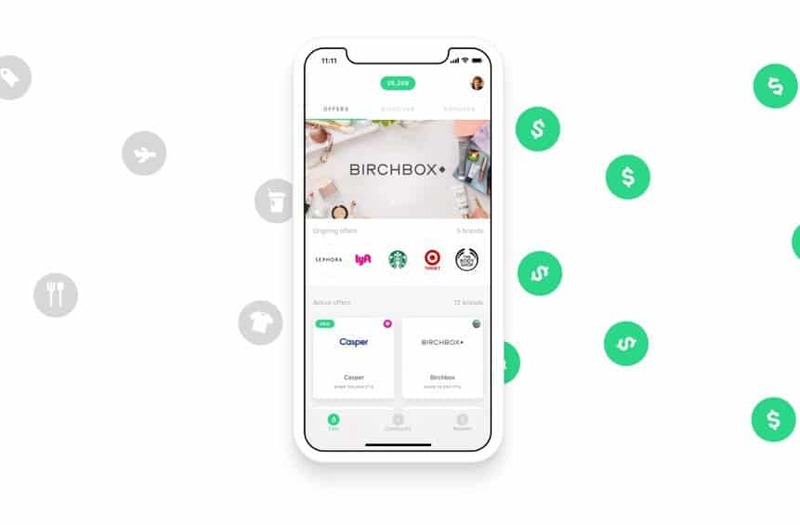 So long as you don’t use cash on a regular basis, and you don’t mind sharing your shopping data with Drop, you can earn rewards with the app. 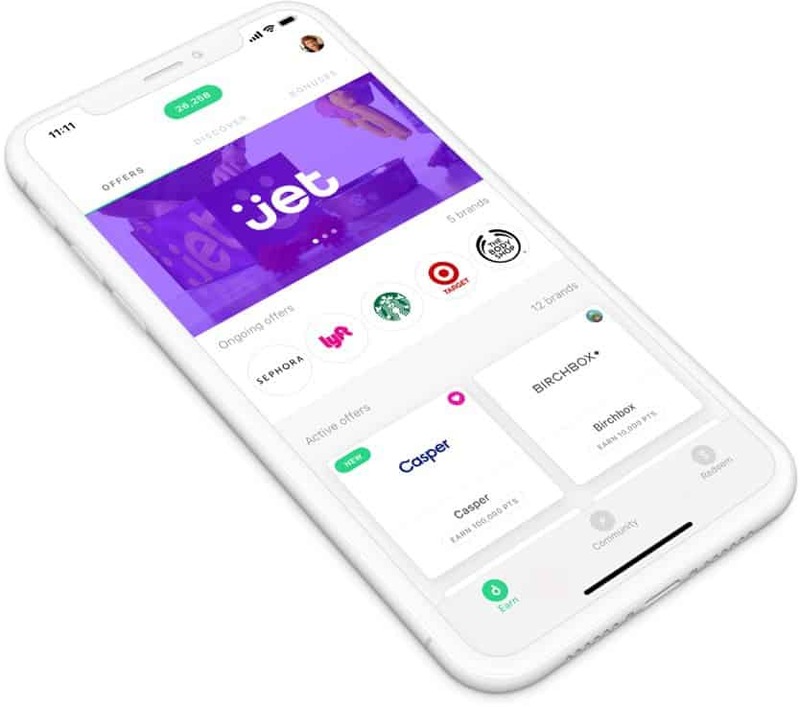 Related: Ebates Review 2018: How Does the Cash Back App Work? Is it Legit? Drop offers consumers rewards for the shopping they do every day, with some bonus opportunities to earn even more rewards. While you cannot redeem the rewards for cash, you can earn gift cards from a wide range of retailers, so nearly everyone can find a reward they can make use of. Can Drop be used in any country?